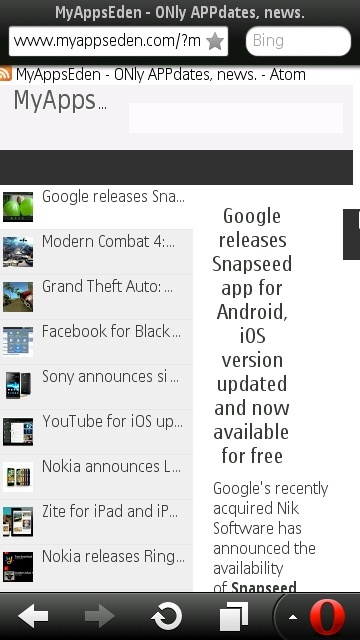 Popular free browser Opera Mini updated to v7.0.3 for Symbian phones. The update comes with Added navigation keys support and fixed Latin characters issue in Symbian Belle operating system. + Fixed issue with displaying of Latin characters on phones running latest Nokia Belle firmware. + Added navigation keys support in Belle FP2 virtual keyboard. + Fixed overlapping of input fields by Belle FP2 virtual keyboard.